T / cover me, will ya? Maybe it all started with this photo of all the ladynauts going up to space this year. Or perhaps I owe it all to the lady Ghostbusters. But somewhere this year, I got obsessed with onesies. I’d been resisting them for years. They’re so awkward to get in and out of. But I always admired the converts. Then Cait designed my first pair and I was HOOKED. So I’ve been steadily increasing my little collection of rompers this year. They’ve become a staple in my wardrobe and a uniform of sorts. I’m even putting together a bunch that will serve me well on shoot days. Details so I can get down and get all the toddler shots while sopping up all the sweat and staying light and airy. Rosie Riveter meets the tropics, right? And I decided to look at a couple of awesome ladies for their looks. Ashley Streicher is the youngest of the LA-based beauty trifecta sisterhood of STRIIIKE. She’s a badass at the hair thing (no seriously, check out her client log). And when I saw her in these tomboy coveralls, I stalked hard. Like real hard. In my head, she needs these one pieces to suit her life and work. So pockets are a must. Movement is key. So is comfort. 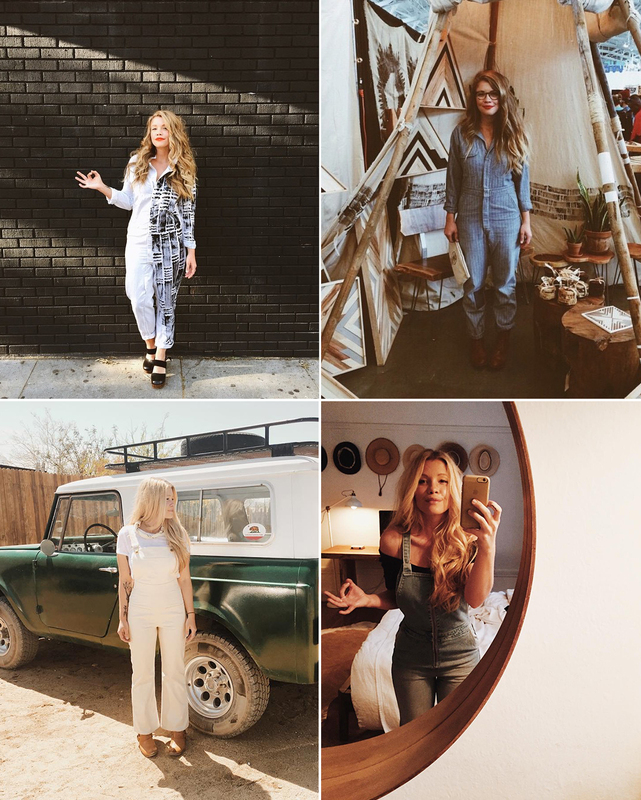 These jumpsuits meet all the needs. They’re the perfect shoot uniform. But there’s that thing about fit. I’m not exactly lithe. 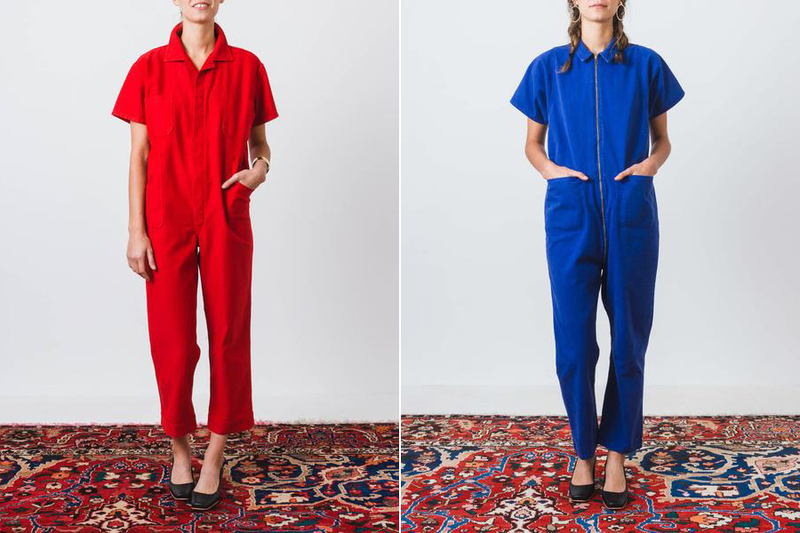 Jumpsuits by Caron Callahan (left) and Rachel Comey (right). And that’s where wood lady artist Aleksandra Zee comes in. I’ve admired her work for years now. As well as her perfect overalls. Holy crap. They wrap around her hips perfectly. 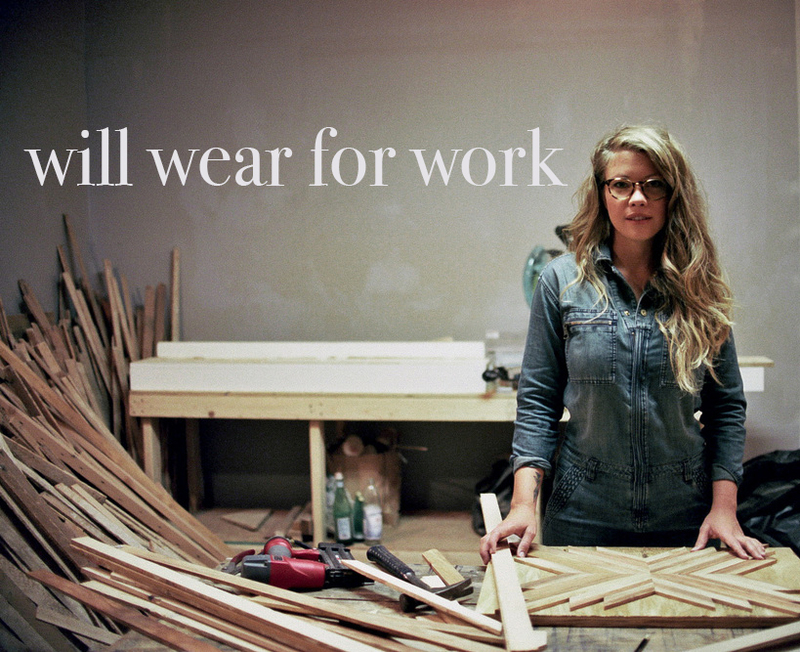 After gawking at her work, I immediately noticed how all of her workwear pieces fit her body so well. Words can’t describe how much I dig all her pieces. Especially those overalls. 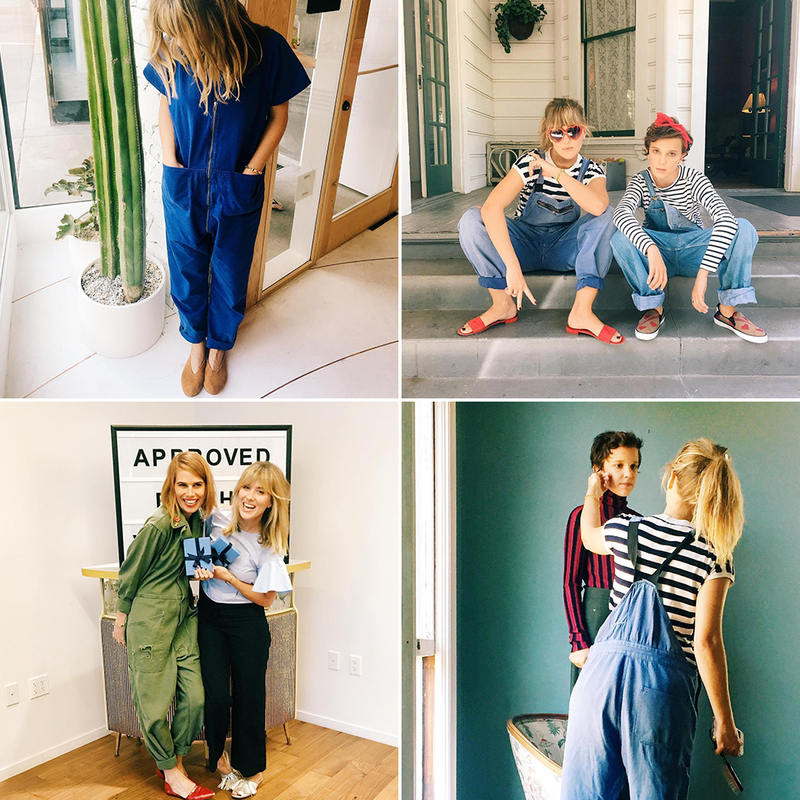 I’m currently inspired by these Madewell and Need Supply pieces. They’re a little on the loose side, but with the right tailor, they could just work. 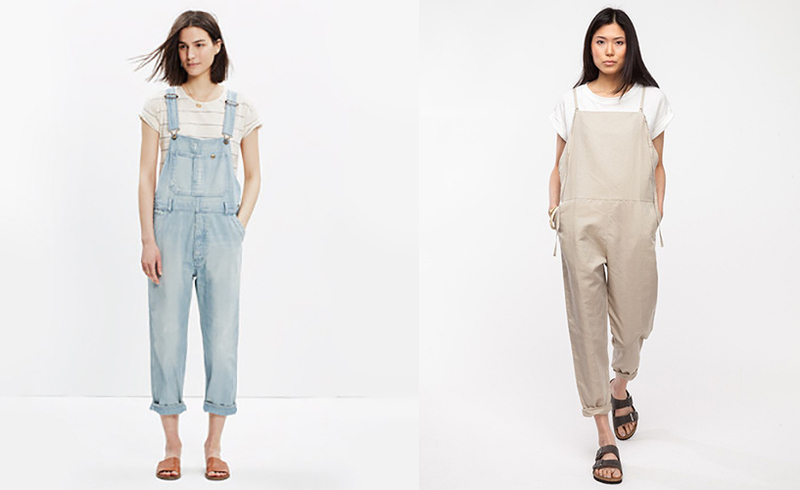 Overalls by Madewell (left) and Need Supply (right). Categories: by tiff, prettyshit | Tags: aleksandra zee, coveralls, jumpsuits, overalls, streicher sisters | Permalink.